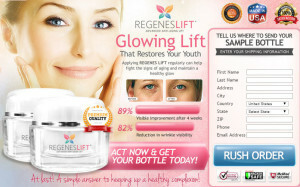 Regenere Facelift Complex Review - Scam? Regenere Facelift Complex Review – Clinically Proven or Scam? 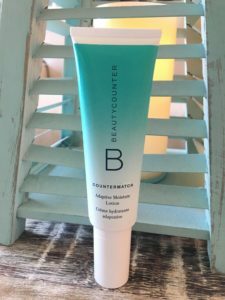 “Simply Beautiful Skin” is the promise, but is Regenere Facelift Complex really a cream that can dramatically reduce wrinkles with proven results? I decided to write a review about Regenere after an upset customer emailed me, and the story is all too familiar. She was charged $84.95 after 12 days (what I consider a “short-term free trial”) for what she thought was a free trial of Regenere and could not find a phone number to call them to dispute the charges. Unfortunately I get emails every day just like this from people looking for help. 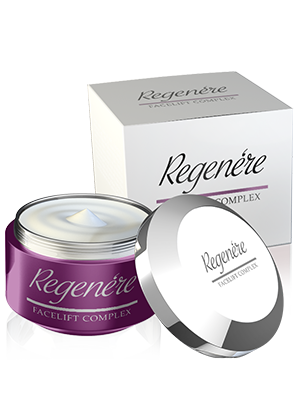 So let’s take a closer look at Regenere Facelift Complex to see what their product promises, and if they have the clinical trials to back up the ingredients, something that’s very important when shopping for a wrinkle cream or other anti-aging product. We will also talk about Regenere’s billing arrangement to determine whether this is yet another free trial wrinkle cream scam or a legit wrinkle cream that will actually make a difference in your skin. Regenere Facelift Complex – What Do They Promise? In a recent study of their skin care “incregients” (another of many typos) found in their advanced formula, after 8 weeks there was an 84% decrease of fine lines, 95% increase of collagen production, and 73% decrease of dark circles. At this point in my research of Regenere, there are already a few glaring red flags that there’s something fishy about their website and their claims. 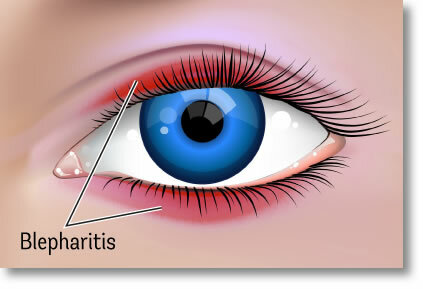 For me they are easy to spot, but for the average consumer, they are often overlooked. Red Flag #1: Are there really clinical trials? Usually a reputable anti-aging treatment or cream sales page will talk about their clinical trials when it comes to their ingredients. They are proud of the fact that they use quality ingredients that have been clinically proven to bring results, and they back up those claims with links to the actual clinical trials. For Example, take a look at Kollagen Intensiv’s sales page. This is one of my top recommended creams, so it’s a good example. Now, if you click on the link that’s highlighted, it takes you to a pdf document of the ACTUAL clinical trial’s research on that specific ingredient. These are the types of facts you need to look for when shopping. Throughout Regenere’s page, it references their “clinically proven results” but there is absolutely nothing to back it up, no links, and no ingredients listed. They also state their ingredients are not revealed so as to “thwart” a replication. Really? I don’t know about you, but I won’t buy a cream that doesn’t list its ingredients. Red Flag #2: Why the fuss over grammar? There are countless grammatical errors on the sales page, and this is usually a sign that the cream does not originate from the U.S. If you’ve read my Investigative Report on wrinkle cream scams, this can be a problem. Now I’m not just being persnickety about an honest grammar mistake. I investigate these wrinkle cream scams daily, and it’s a theme that’s common with many of them. Why should you be concerned? Many of these creams originate from South American countries so there is no recourse (no extradition policy) for an American consumer to get their money back if they’re not happy, and a lot of times they will list bad or non existent phone numbers. And guess what? 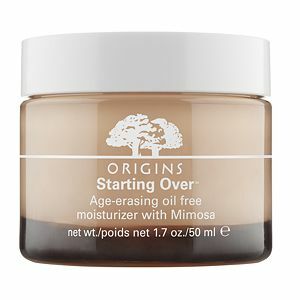 Once the public catches on that this is a short-term wrinkle cream scam, they usually change the product’s name, the packaging, and start a whole new campaign. Red Flag #3: What are the hidden terms & conditions? There is not a free trial on the planet that does not charge you the full price of the product once the trial period is up, and Regenere is one of them. This is why I don’t like short-term free trial products. There’s not enough time to receive the product and try it long enough to decide if you like it. You need to look at the terms and conditions to see what’s really up with the free trial, and here’s how I do it. I put a fake name, address, phone number and email address on the first sales page, so that it takes me to the billing page, and here is where you will find the terms and conditions. At this point you’re not required to enter your credit card number. Most of the time it’s really hard to find the terms and conditions and you have to scroll down the page to look for the tiny, microscopic link. When I did this on the Regenere page, it did the old “bait and switch” and took me to a completely different cream’s purchasing page, which is another red flag. I thought I was signing up for Regenere, but when I looked closely it changed to “Dermajuve” in the fine print. What a tangled web of deceit! All these scams work the same though. On the 14th day, you will be billed the full purchase price of $84.95 and they will automatically send you new product every 30 days and charge you that same amount. The problem is, most people have NO IDEA they are actually signing up for an auto-ship, auto-billing arrangement, and they find themselves stuck in a position where it’s hard to cancel, and impossible to get their money back. Red Flag #4: What else did I find worrisome? What sort of “mishappenings” are they worried may occur? And why wouldn’t women in their 20’s be able to use this cream? These make no sense, but they are certainly trying to cover their butts in case you break out in a rash or worse. If it’s not obvious by now, I would strongly recommend against agreeing to Regenere Facelift Complex’s free trial. It has all the signs of a wrinkle cream scam with multiple red flags to prove it. Regenere claims their product is clinically proven but they do not provide any links to the clinical trials, nor do they post the ingredients. They simply state it’s their “advanced formula.” I said this before and I’ll say it again – I would never purchase a cream that did not list its ingredients. There are multiple grammatical errors on the Regenere sales page which usually indicates it originates from a foreign country, which equates to a huge headache later if you want to return the product. Regenere only allows you 14 days to decide whether or not you like the cream which is not enough time to receive it, much less try it for any length of time. Does Regenere Sell “Regenes Lift Cream”? 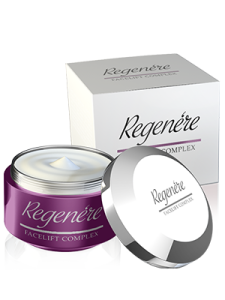 We believe that the same company that offers Regenere Facelift Complex may also sell “Regenes Lift Cream” as it’s a similar name and its sales pages and offers are identical. Be careful of Regenes Lift Cream as well, and always read the terms and conditions! If you have agreed to Regenere’s free trial and wish to cancel your auto-ship, auto-bill arrangement, you need to call the company and request to cancel your free trial right away. I did some sleuthing (again in the terms and conditions) and I found a couple of phone numbers for Regenere. You can also ask them if they will issue a refund if you send the unused portion back. If they allow this, they will normally charge you a “restocking fee” of about $35, but at least you’ll get some of your money back. If they refuse to cancel, or if you cannot reach them, then I would recommend disputing the charges with your bank. You may even need to cancel the credit card altogether in a worst case scenario. Don’t accept free trials of this nature, it’s always better to buy a cream outright that has a money back guarantee. My top cream Kollagen Intensiv is very effective, I’ve used it for over 4 years with great results! It’s worth a look. Have you used Regenere? Leave your questions or comments below! This company like everyone else states is a scam. REGEN-A Ageless Moisturizer. You sign up for a free sample and then 15 days later they charge you $89.97. I never even opened the bottle. There must have been fine print that was too small to read somewhere. When trying to cancel they try to lower the month cost to $20 to keep getting it, but they refuse to refund the $89.97. Why aren't these people shut down? Regenere did nothing for me and I received a bill for my samples with in 5 days of receipt. I requested a FREE bottle of anti-aging cream and seen $89.92 was charged to my account. I called and they said it’s under terms and conditions in the fine print. ABSOLUTE RIP-OFF DO NOT PURCHASE. THIS IS A BAIT AND SWITCH SCAM. I realized this offer was an obvious scam, when I'd followed an advert that featured the Sharks allegedly endorsing the product. Luckilly, another web page making the same celebrity "exclusivity" claim, had opened by accident, while I was placing my $4.95 order. Immediately I refreshed the web page and then scrolled down further to read (as you stated) the microprint disclaimer about the $85 charge. Regenere Skin Cream is a Scam! I also ordered a sample , as soon as they charged my CC my Bank contacted me. It was charged 2.00 am, that shows it was not from this country. I called the bank and the company to stop I could not.I had to cancel my Credit card. My question is how should one take legal action? They should be stopped. Be careful of hidden charges with “free trials, just pay shipping”. I ordered a free sample and authorized a $4.99 shipping charge. They charged my Visa 2 charges totaling $150 +. I cancelled my card and called Regenere and canceled a subscription that I never authorized. Very hard to talk to their customer Service. They finally refunded half the amount after 20 minutes of me threatening them with a bad review. The product is no different than using over the counter products that are far cheaper. Be careful of hidden charges with "free trials, just pay shipping". Approximately 1 week after receiving the 2 free trial products, my charge card was charged $84.95 and $89.95. I called to report that I had just received the products, was allergic to them and didn't want to pay huge amounts for products with identical labels and which I couldn't use due to allergic reactions. Their response was pretty much "too bad" and the person was rude about it. There was no mention of future charges outside of the "shipping charges" on their website, so when the representative from my credit card company also viewed their website and was able to confirm that terms were not on there, they were able to finally secure a promise for refunds of the two large amounts. So far, I have received an email acknowledging a refund for one of them. BUYER BEWARE! The cream is not even very good, I have used lots of better ones, and the guy I talked to barely spoke English and basically told me I was out of luck. I called my bank and had them dispute the charges and put a note in my account to not accept any other charges from them. If this doesn't work I will cancel my card and get another one. This company is a TOTAL SCAM. Offered 75% refund then took it back. CC co was able to get the refund. 1.2 5.0 44 44 This company like everyone else states is a scam. REGEN-A Ageless Moisturizer. You sign up for a free sample and then 15 days later they charge you $89.97. I never even opened t Regenere Facelift Complex Review – Clinically Proven or Scam? A: Regenere's phone is: 877-240-9369. You're the third women this week who's emailed me saying they've had a bad reaction. One lady had burning and redness, and the others had rashes. Awful! Who knows what's in these creams because they don't post their ingredients. 15 out of 15 people found this question helpful. The phone numbers I found for Regenere are as follows, if these are no longer working numbers, you should contact your bank to block future charges from this awful company. A: Sorry Barbara, this is exactly what the lady said yesterday. You may not want to waste time and visit your bank asap and explain the situation and have them file a fraud dispute. Obagi Nu-derm Foaming Gel Cleanser Review - Too Many Chemicals? PO Box 692208, Orlando FL 32869. They offered a 75% refund, but I am calling the bank and requesting a charge back. Then I will ship the products back. Another disappointing transaction via the internet. I guess I will never learn. Hope this helps everyone. I am so glad I read reviews before I completed the “free trial” form! My card has been billed, charges which shouldn’t be there. I have theses charges being looked at. Your rebuke is I didn’t send product back, which I DID, and at the same time canceled ant other shipping. Check this out, your company isn’t truthful! I ordered the free trial of Regenere from a facebook ad I thought Ellen Degeneres was promoting. Why would I doubt her!!!!!! Today is the 14th day of myso-called trial. Before the bank even opened today, I checked my account for another reason and DAH-DAH, $89.92 had been taken out already today. I guess I should have just stopped 14 days ago when I entered my bank pre-paid card account number and it notified me that they do not accept pre-paid cards. I intentionally obtained this card for online purchases and only keep enough on the card to cover a purchase. If I need to make more online purchases I wait until that one clears, then transfer additional money as I need to order something. ALWAYS TRUST YOUR GUT LADIES. As happened with many of the earlier ladies comments, no phone number. The bank finally found one though. My experience with a sweet gal who I COULDN’T UNDERSTAND and had to ask every question more than once and ask her to repeat almost everything she said to me – started out with me being quite pleasant but I was questioning how I could place an order on Aug 23 – which makes this the 14th day – and they already charged me before I could make the call. I didn’t even find it in my mailbox until Aug 29. After almost half an hour she had made me a deal to sell me the product for 50% off, then she offered me a 35% discount, and finally when she agreed she could cancel my contract and only charge me a 15% restocking fee of $13.49 as I had not opened the jar. So with the $4.99 I already paid for postage and handling plus what I will have to pay to send the merchandise back will probably run me more, I will have about $115 invested in nothing.I was also told the refund will be processed in 5 to 7 business days. I just read through the terms which I found on the internet and it says if I am on the automatic plan I can cancel and my money would be refunded within 30 days. Maybe I’ll make another call and see if I can get another person to make me another offer. Wish me good luck. thanks for letting me VENT. Received and email from a collection agency for Regenes lift the amount is for $186.00. My bank saw the automatic billing coming from China for the Regenes lift and asked if it was valid. I said I didnt want the charge and they canceled my card. I never received any other bottle than the trial version. I just received an email saying that I owe money for the product plus the fees for a total of $186 from a collection agency. Don’t even know how that’s legal. So if you want to cancel its impossible and if you cancel you card so they don’t bill you, you get sent for collections. I received my trail in February and received the email today. Big scam I was charged over $185 and the customer service representative stated to me several times she could not find my name in their system after four tries and giving her my telephone number and the last four digits of my credit card she was able to find me. She then stated that she could cancel my next shipment but could not refund any of my money. Total waste of money!! I cannot get thru to them to cancel. This is a very expensive joke! I am not happy. What can I do?? On their page, they list a bunch of “reviews” from people who are so excited to be using this product. I was glancong through them and noticed my niece was on there. I clicked on it and it took me to her facebook page. “She claims she loves it and now will be ready for her daughter’s wedding”….um, yea, she just had a baby last week. A girl….she also has 2 small boys. So has anyone really tried the product besides shutting them down. Ingrediients are on the bottle. Many companies do trial periods for a reason. All a person needs to do is ask for a extension til you decide if you like it or not. I test out products and evaluate sites for money for major corps. So far the product is working and I have found a different number in my research than what you have. I have used alot of facial creams and this product does work and I’m 3 days into it. Before 14 day trial cancel or with any facial creams or trials there is hidden but you can get out before it ends. Now I’m testing out another. I’ll keep you up to date and I deliberately extended to see if they would. They did. I evaluate sites just to test out to see if they work with the public. As long as you cancel before 14 days or get the additional 2 week extension you should be fine. CJM, I’ve tried a ton of these creams and there’s nothing special about the ingredients. 99% of these short term free trials do NOT work with their customers providing extensions, refunds, and lack courtesy and customer service. Their main goal is to trick their customers and hope they don’t read the fine print terms & conditions and whack them with $90 charge on the 14th day, leaving them with absolutely no recourse for a refund. Many of them are combo offers, so unknowing customers agree to 2 and sometimes even 3 products thinking they are receiving a free trial. These companies are deceptive, bottom line. There is nothing wrong with a free trial per se, but I don’t recommend any trials unless they are 30 days – there are very few and that’s because they are not just trying to scam you. 14 days is not enough time to receive it (day 1 is the day you order) so by the time you receive it you’re a week into it already. Read the comments and reviews on my Investigative Report to understand how the average consumer gets taken by these companies, Regenere is no different, and they use the same photo shopped pictures as all the other similar companies do. They just flip the creams, change the links, change the names and start all over again. If you’re investigating quality websites, you won’t find one for Regenere. If you visit https://regenereskin.com/ and try to order the product, it’s not even functioning anymore. Another masked site, http://regenerecreams.com/ now flips to a new wrinkle cream scam called “Aviqua,” which is a tell tale sign people have caught on to the scam and they’re flipping links. If you’re a savvy consumer (which you are) and have the wherewithal to mark your calendar so you can call and cancel in time, then you’re in the 1 percentile of customers who understand how these short term free trials work, and you “may” be able to cancel without being charged – if you’re lucky. They prey on the elderly and unsophisticated consumer and do not make stand out anti-aging products. I do appreciate your comment, and I hope that my other article will help provide you with some research and open your eyes to how these companies actually operate and continue to stay in business. I can assure you it’s not because they make a quality product or have good customer service. I wish I could of seen this website before I ordered the regenere. I fell into the same trap. I would be lucky to get 1/2 of the money back. I had no clue that I was going to get charged 176.87 besides the shipping. Kay, if you accepted the trial, they WILL be billing you the full amount (roughly $95) on the 12th day and continue to ship you new product and bill you every 30 days. Day 1 is the day you accepted the trial. Regenere is one of the worst scams going, I would call and cancel immediately if I were you. It’s still allowed because most of these creams are made out of Pakistan or South America so there is no extradition policy, so no recourse for consumers like you and me in the USA. Regenere Skin Product is A SCAM!!! I order the free “trial version of the Regenere Skin product regenereskin (dot)com for my wife, and was only suppose to have to pay for the shipping cost. However, they charged me for the shipping, and then two more charges under two different company names – Youthful Face for $89.82, and one day later, Newaunce for $84.94. Also, they will automatically set you up for their auto purchase program to continue charging you for the product. Dave, thanks for sharing. Sorry you got caught up in their scam. Just an FYI in case you don’t know already, you’ll have to cancel with each individual company to cancel your trials, or they’ll keep sending you and keep billing you those same amounts. I’m also going to edit your review to remove the link to them because giving them a back link on my site will only help their rankings and I don’t want to help them! advnced facial complex, and vitamin serum. what is the number for the better business bureau to report these people i too was charged $89.95 ON MY CREDIT CARD and idid not receive my purchase within the 14 days they said what a scam just lost $90.00 that i didnt have to spend!!! How can they get away with sending a sample product without identifying company or a phone number so I could cancel what is obviously an inferior product? I received two small items and I got 5 separate billings on an account which they declare to be automatic shipments. first three dated June 9 second and third shipped on 6/23 and 24th and have not been received. I am LIVID. Ladies please be very aware if you look at these type of promos that you are likely to get hit with a healthy charge. I am going to my credit card company with this information and to my state Consumer Protection Agency in State Capitol explaining this process which would appear to be a total scam. Don’t get hung up trying to talk to someone you cannot understand and who refuses to let you talk to a supervisor. Wonder just exactly they are located when you call in. It makes me never want to look at ANYTHING on the internet again!! !